Audrea is a Senior Investment Analyst at Anacacia. She is responsible for a range of activities including assessing investment opportunities and helping to research, analyse and conduct due diligence on industries and companies and assist with existing investments. Prior to joining Anacacia, Audrea made principal investments for Macquarie Group, focusing on alternative investments, particularly in the environmental and social space. 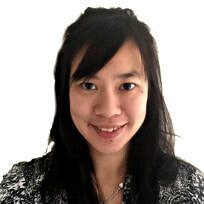 Audrea previously worked in Macquarie's corporate advisory and equity capital markets team. Audrea has a Masters of Finance from INSEAD and a Bachelor of Commerce (Distinction) from the University of New South Wales.